Wireless Terminal Solutions is one of the market leaders in the UK for delivering payment solutions to the Charity sector. Our versatile Chip and PIN machines have helped revolutionise the charity sector in delivering a complete POS and EPOS solution. Many of the charities WTS work with enjoy the benefits and freedom of accepting contactless card payments on the move or in temporary surroundings for their Gala events. Our contactless card machines provide charities with the flexibility and efficiency payment technology they need to ensure they are able to process payments and donations. Charities can also rest in the knowledge that all of our contactless credit card machines are compatible with Apple Pay and Android Pay. With over 35 year’s industry experience, we have extensive knowledge in implementing and delivering bespoke payment solutions to the Charity Sector. Wireless Terminal Solutions are renowned for providing the best contactless card machines, and ensuring your charity never has to worry about the flow of your donations and payments. WTS offer multiple types of card machine based on the charity’s requirements. Some charities require wireless technology and portable solutions because they accept card payments on the go. Others prefer a fixed solution from their office location. Whatever the requirement, we have a solution that is right for your charity, and our short term rental starts from as little as one day meaning no lengthy contract terms. WTS aim to offer Charities flexibility, we can offer you a bespoke package tailored to your requirement, making maximum use of your budget and financial constraints. 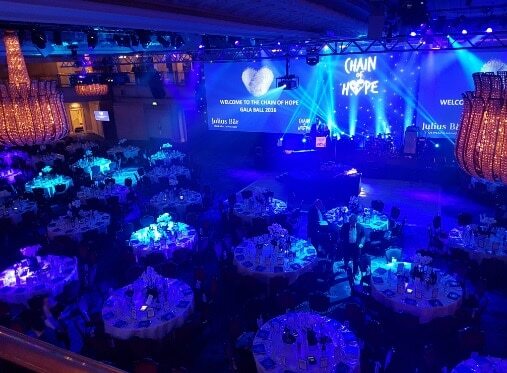 Now in its 14th year, the Chain of Hope Gala Ballis the flagship fundraiser for the charity held this year at the prestigious Grosvenor House, Park Lane in London. The Gala Ball has been attended by celebrities such as Sir Mick Jagger, Rio Ferdinand, Rod Stewart, and Nicole Scherzinger in recent years. 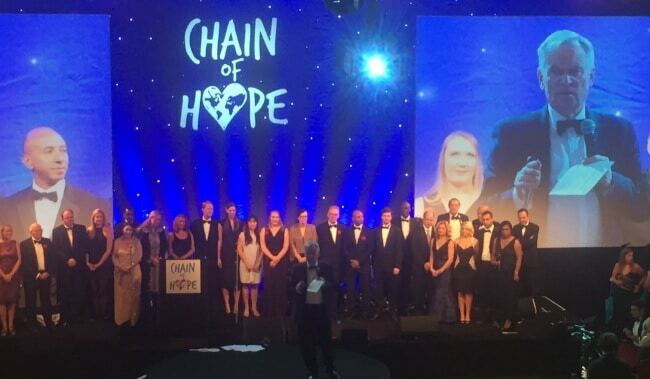 Chain of Hope brings lifesaving heart treatments to children in developing and war-torn countries through teams of pioneering medical professionals who volunteer their time to treat children and conduct training programmes for the local medical staff. November 2016, the charity hosted this year’s star studded Gala Ball which raised an incredible £2.5million! 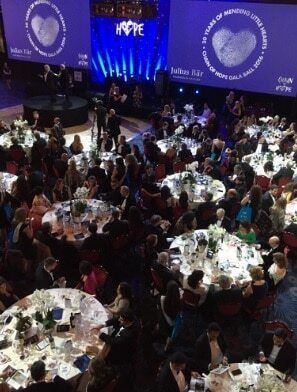 Wireless Terminal Solutions supplied fifty PDQ machines to the London venue. Delivering the PDQ machines the day before, WTS provided onsite technical support for the event giving reassurance and peace of mind to the organisers. The charity had two types of PDQ machines; the Wi-Fi PDQ machineswhich were connected via the Grosvenor House secure SSID, and Internet PDQ machines which were connected via an ethernet cable. The PDQ machines were used for charity donations and also for the main auction, which was the highlight of the evening. WTS technical support arrived on-site at 5pm, and liaised with the charity to ensure the PDQ terminals were all set up for the evening. WTS believe going the extra mile for charities is pivotal to the on-going success of our short term card terminal solution, which is why so many of the UK’s leading charities choose WTS as their preferred supplier of PDQ machines. Cristy Gresswell, Events Coordinator at Chain of Hope ,who ordered the PDQ terminals for the event, comments on the service received. “If you’re a charity and you need to accept credit card payments, you’ve come to the right place! WTS can get you set up with a merchant account allowing you to accept all major debit and credit cards. Wireless Terminal Solutions’ PDQ machine rental is ideal for charities enabling them to process card payments away from their fixed address without the need to commit to lengthy contracts. Most importantly we understand what PDQ machines work best in different environments”. If your charity is going to be hosting a gala event, get in touch with the events team at Wireless Terminal Solutions for more details about our PDQ card machine hire. WTSalso specialise in late bookings, so if you have left things to the last minute you can rest in the knowledge you’re in safe hands. Call us now on 0208 669 2103 or email sales@wirelessterminalsolutions.co.uk. 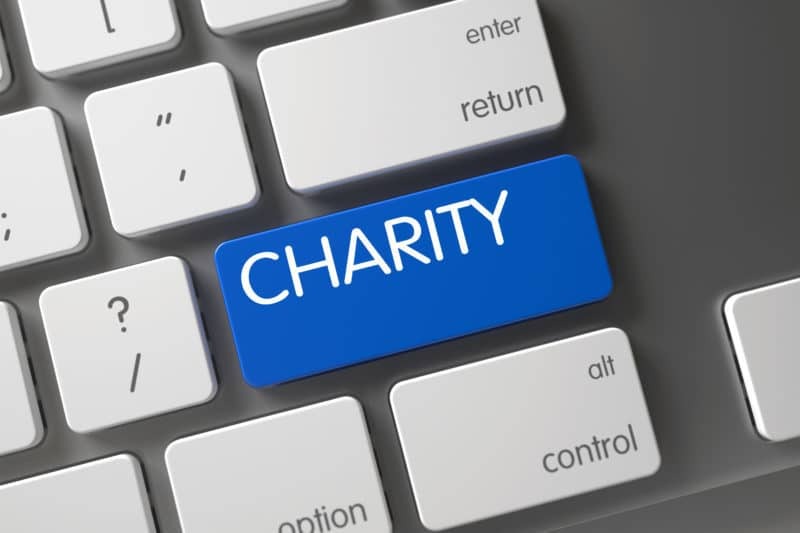 WTS know how important it is for charities to have a card processing system in place. In most cases we can have a charity set up with a contactless card terminal in 24-48 hours. WTS also provide a dedicated UK based technical support service striving to support you out of hours. In some circumstances we have delivered on site support, please speak to us for additional information. Any charity contemplating using our contactless payment solution, will receive a complete start to finish service from their dedicated account manager, and we aim to inspire charities with diverse ‘think-outside-the-box’ payment solutions to enhance the charity sector and deliver a first class service. WTS is the easier way for your charity to begin accepting card payments, and we deliver a consultative approach to ensure that you get exactly the contract and terminal that your charity requires. To discuss getting your charity equipped with a short term or long term card machine, please call us on 0845 459 9984 or email sales@wirelessterminalsolutions.co.uk.